"Biological conservation" redirects here. For the scientific journal, see Biological Conservation (journal). "Conservation Biology" redirects here. For the scientific journal, see Conservation Biology (journal). "Conservation ecology" redirects here. For the scientific journal, see Conservation Ecology (journal). Efforts are made to preserve the natural characteristics of Hopetoun Falls, Australia, without affecting visitors' access. The conservation ethic is based on the findings of conservation biology. For the past 12 weeks, we've been investigating our living planet together and learning how it works on many levels, how populations of organisms interact, how communities thrive and ecosystems change, and how humans are wrecking the nice, perfectly functioning systems Earth has been using for hundreds of thousands of years. And now it's graduation day! This here is like the commencement speech, where I talk to you about the future and our role in it, and how what we're doing to the planet is totally awful, but we're taking steps to undo some of the damage that we've done. So what better way to wrap up our series on ecology than by taking a look at the growing fields of conservation biology and restoration ecology. These disciplines use all the kung fu moves that we've learned about in the past 11 weeks and apply them to protecting ecosystems and cleaning up messes that we've already made. And one of the main things they teach us is that doing these things is difficult, like, in the way that uncooking bacon is difficult. So let's look at what we're doing, and try to uncook this unbelievably large pile of bacon we've made! Just outside of Missoula, Montana, where I live, we've got a Superfund site. Not Superfun...Superfund. A hazardous waste site that the government is in charge of cleaning up. The mess here was made more than a hundred years ago, when there was a dam in the Clark Fork River behind me called the Milltown Dam. This part of Montana has a long history of copper mining, and back in 1908, there was a humongous flood that washed about 4.5 million cubic meters of mine tailings chock full of arsenic and toxic heavy metals into the Clark Fork River. And most of it washed into the reservoir created by the Milltown dam. I mean, actually it was lucky that the dam was there, it had only been completed six months before, or the whole river system, all the way to the Pacific Ocean, would have been a toxic mess. As it happened, though, only about 160 kilometers of the river was all toxic-messed-up. A lot of it recuperated over time, but all that nasty hazardous waste was still sitting behind Milltown Dam, and some of it leached into the groundwater that started polluting nearby resident's wells. So scientists spent decades studying the extent of the damage caused by the waste and coming up with ways to fix it. And from 2006 to 2010, engineers carefully removed all the toxic sediment as well as the dam itself. Now, this stretch of the Clark Fork River runs unimpeded for the first time in over a century, and the restored area where the dam used to be is being turned into a state park. Efforts like this show us conservation biology and restoration ecology in action. Conservation biology involves measuring the biodiversity of an ecosystem and determining how to protect it. In this case, it was used to size up the health of fish populations in the Clark Fork River, which were severely affected by the waste behind the dam, and the dam blocking their access to spawning grounds upstream, and figuring out how to protect them during the dams removal. Restoration ecology, meanwhile, is the science of restoring broken ecosystems, like taking an interrupted, polluted river and turning it into what you see taking shape here. These do-gooder, fix-it-up sciences are practical rather than theoretical, by which I mean, in order to fix something that's broken, you've got to have a good idea of what's making it work to begin with. If something was wrong with the expansion of the Universe, we wouldn't be able to fix it because we have no idea, at all, what's making all that happen. So in order to fix a failing ecosystem, you have to figure out what was holding it together in the first place. And the glue that holds every ecosystem together is biodiversity. But then of course, biodiversity can mean many different things. So far we've generally used it to mean species diversity, or the variety of species in an ecosystem. But there are also other ways of thinking about biodiversity that help conservation biologists and restoration ecologists figure out how to save species and repair ecosystems. In addition to the diversity of species, ecologists look at genetic diversity within a species as a whole and between populations. Genetic diversity is important because it makes evolution possible by allowing a species to adapt to new situations like disease and climate change. And then another level of biodiversity has to do with ecosystem diversity, or the variety of different ecosystems within an area. A big ol' forest, for example, can host several kinds of ecosystems, like wetland, alpine, and aquatic ones. Just like we talked about when we covered ecological succession, the more little pockets you've got performing different functions, the more resilient the region will be as a whole. So, yeah, understanding all of this is really important to figuring out how to repair an ecosystem that is in shambles. But how do conservation biologists take the information about what makes an ecosystem tick and use it to save the place from going under? Well, there's more than one way to approach this problem. One way is called small-population conservation. This approach focuses on identifying species and populations that are really small, and tries to help boost their numbers and genetic diversity. Low population and low genetic diversity are kind of the death knell for a species. They actually feed off each other, one problem making the other problem worse, ultimately causing a species to spiral into extinction. See, when a tiny little population suffers from inbreeding or genetic drift, that is, a shift in its overall genetic makeup, this leads to even less diversity, which in turn causes lower reproduction rates and higher mortality rates, which makes the population smaller still. This terrible little dynamic is known by the awesome term extinction vortex. The next step is to figure out how small a population is too small. Ecologists do this by calculating what's called the minimum viable population, which is the smallest size at which a population can survive and sustain itself. To get at this number, you have to know the real breeding population of, say, grizzly bears in Yellowstone National Park, and then you figure out everything you can about a grizzly's life history: how long they live, who gets to breed the most, how often they can have babies, that kind of thing. After all that information is collected, ecologists can run the numbers and figure out that for the grizzlies in Yellowstone, a population of, say hypothetically, 90 bears would have about a 95% chance of surviving for 100 years, but if there were a population of 100 bears, the population would likely be able to survive for 200 years. Something to note: ecology involves a lot of math. So if you're interested in this, that's just the way it is. So, that's the small-population approach to conservation. Another way of preserving biodiversity focuses on populations whose numbers are in decline, no matter how large the original population was. This is known as declining population conservation, and it involves answering a series of related questions that get at the root of what's causing an organism's numbers to nosedive. First, you have to determine whether the population is actually declining. Then, you have to figure out how big the population historically was and what its requirements were. And finally, you have to get at what's causing the decline and figure out how to address it. Milltown Dam actually gives us a good example of this process. In the winter of 1996, authorities had to release some of the water behind the dam as an emergency measure, because of a big ice flow in the river that was threatening to break the dam. But when they released the water, a bunch of toxic sediment went with it, which raised the copper concentrations downriver to almost 43 times what state standards allowed. As a result, it's estimated about half of the fish downstream died. Half the fish! Dead! And researchers have been monitoring the decline in populations ever since. This information was really helpful in determining what to do with the dam. Because we knew what the fish population was like before and after the release of the sediment, it was decided that it would be best to get the dam out as soon as possible, rather than risk another 1996 scenario. Which brings me to the place where conservation biology and restoration ecology intersect. Restoration ecology is kind of where the rubber meets the road in conservation biology. It comes up with possible solutions for ecological problems. Now, short of a time machine, which I'm working on, you can't really get a natural environment exactly the way it used to be. But you can at least get rid of whatever is causing the problem and help re-create some of the elements that the ecosystem needs to function properly. All this involves a whole suite of strategies. For instance, what's happening in Milltown is an example of structural restoration, basically the removal and cleanup of whatever human impact was causing the problem. In this case, the dam and the toxic sediments behind it. And then the rebuilding of the historical natural structure, here the meanders of the river channel and the vegetation. Another strategy is bioremediation, which recruits organisms temporarily to help remove toxins, like bacteria that eat wastes or plants that leach out metals from tainted soils. Some kinds of fungi and bacteria are even being explored as ways to bio-remediate oil spills. Yet another, somewhat more invasive restoration method is biological augmentation. Rather than removing harmful substances, this involves adding organisms to the ecosystem to restore materials that are gone. Plants that help fix nitrogen like beans, acacia trees and lupine are often used to replenish nitrogen in soils that have been damaged by things like mining or overfarming. And ecologists sometimes add mycorrhizal fungi to help new plantings like native grass take hold. But of course, we're just humans, and we're not as smart as millions of years of evolution. Sometimes we get things wrong. For example, when you bring an invasive species into a place to eradicate an invasive species, sometimes you just end up with two invasive species on your hands, which collapses the ecosystem even more rapidly. The introduction of cane toads to Australia in the 1930s to control beetles is a particularly infamous example. Not only are they everywhere now but because they're toxic they're poisoning native species like dingos that try to eat them. Nice. So you know what? I have an idea. After spending the past couple of weeks talking about ecological problems, I've come to the conclusion that it's just easier to protect ecosystems rather than trying to fix them. Because we know a lot about what makes ecosystems tick, so if we spend more time trying to save them from us and our stuff, we'll spend less time cleaning up after ourselves and running the risks of getting it wrong. Because as we all know, the sad fact is: uncooking bacon is impossible. But we can eat it. Thank you for joining me on this quick three-month jaunt through the natural world, I hope it made you smarter not just in terms of passing your exams but also in terms of being a Homo-sapien that inhabits this planet more wisely. And thank you to everyone who helped us put these episodes together: our technical director Nick Jenkins, our editor Caitlin Hoffmeister, our writers Blake DePastino, Jesslyn Shields and myself, our sound designer Michael Aranda, and our animators and designers Peter Winkler and Amber Bushnell. And the good news is: there's more Crash Course coming at you soon. If you have any questions or comments or ideas, we're on Facebook and Twitter, and of course, down in the comments below. We'll see you next time. The term conservation biology and its conception as a new field originated with the convening of "The First International Conference on Research in Conservation Biology" held at the University of California, San Diego in La Jolla, California in 1978 led by American biologists Bruce A. Wilcox and Michael E. Soulé with a group of leading university and zoo researchers and conservationists including Kurt Benirschke, Sir Otto Frankel, Thomas Lovejoy, and Jared Diamond. The meeting was prompted by the concern over tropical deforestation, disappearing species, eroding genetic diversity within species. The conference and proceedings that resulted sought to initiate the bridging of a gap between theory in ecology and evolutionary genetics on the one hand and conservation policy and practice on the other. Conservation biology and the concept of biological diversity (biodiversity) emerged together, helping crystallize the modern era of conservation science and policy. The inherent multidisciplinary basis for conservation biology has led to new subdisciplines including conservation social science, conservation behavior and conservation physiology. It stimulated further development of conservation genetics which Otto Frankel had originated first but is now often considered a subdiscipline as well. The rapid decline of established biological systems around the world means that conservation biology is often referred to as a "Discipline with a deadline". Conservation biology is tied closely to ecology in researching the population ecology (dispersal, migration, demographics, effective population size, inbreeding depression, and minimum population viability) of rare or endangered species. Conservation biology is concerned with phenomena that affect the maintenance, loss, and restoration of biodiversity and the science of sustaining evolutionary processes that engender genetic, population, species, and ecosystem diversity. The concern stems from estimates suggesting that up to 50% of all species on the planet will disappear within the next 50 years, which has contributed to poverty, starvation, and will reset the course of evolution on this planet. Conservation biologists research and educate on the trends and process of biodiversity loss, species extinctions, and the negative effect these are having on our capabilities to sustain the well-being of human society. Conservation biologists work in the field and office, in government, universities, non-profit organizations and industry. The topics of their research are diverse, because this is an interdisciplinary network with professional alliances in the biological as well as social sciences. Those dedicated to the cause and profession advocate for a global response to the current biodiversity crisis based on morals, ethics, and scientific reason. Organizations and citizens are responding to the biodiversity crisis through conservation action plans that direct research, monitoring, and education programs that engage concerns at local through global scales. The conservation of natural resources is the fundamental problem. Unless we solve that problem, it will avail us little to solve all others. Conscious efforts to conserve and protect global biodiversity are a recent phenomenon. Natural resource conservation, however, has a history that extends prior to the age of conservation. Resource ethics grew out of necessity through direct relations with nature. Regulation or communal restraint became necessary to prevent selfish motives from taking more than could be locally sustained, therefore compromising the long-term supply for the rest of the community. This social dilemma with respect to natural resource management is often called the "Tragedy of the Commons". From this principle, conservation biologists can trace communal resource based ethics throughout cultures as a solution to communal resource conflict. For example, the Alaskan Tlingit peoples and the Haida of the Pacific Northwest had resource boundaries, rules, and restrictions among clans with respect to the fishing of sockeye salmon. These rules were guided by clan elders who knew lifelong details of each river and stream they managed. There are numerous examples in history where cultures have followed rules, rituals, and organized practice with respect to communal natural resource management. The Mauryan emperor Ashoka around 250 B.C. issued edicts restricting the slaughter of animals and certain kinds of birds, as well as opened veterinary clinics. Conservation ethics are also found in early religious and philosophical writings. There are examples in the Tao, Shinto, Hindu, Islamic and Buddhist traditions. In Greek philosophy, Plato lamented about pasture land degradation: "What is left now is, so to say, the skeleton of a body wasted by disease; the rich, soft soil has been carried off and only the bare framework of the district left." In the bible, through Moses, God commanded to let the land rest from cultivation every seventh year. Before the 18th century, however, much of European culture considered it a pagan view to admire nature. Wilderness was denigrated while agricultural development was praised. However, as early as AD 680 a wildlife sanctuary was founded on the Farne Islands by St Cuthbert in response to his religious beliefs. Natural history was a major preoccupation in the 18th century, with grand expeditions and the opening of popular public displays in Europe and North America. By 1900 there were 150 natural history museums in Germany, 250 in Great Britain, 250 in the United States, and 300 in France. Preservationist or conservationist sentiments are a development of the late 18th to early 20th centuries. Before Charles Darwin set sail on HMS Beagle, most people in the world, including Darwin, believed in special creation and that all species were unchanged. George-Louis Leclerc was one of the first naturalist that questioned this belief. He proposed in his 44 volume natural history book that species evolve due to environmental influences. Erasmus Darwin was also a naturalist who also suggested that species evolved. Erasmus Darwin noted that some species have vestigial structures which are anatomical structures that have no apparent function in the species currently but would have been useful for the species' ancestors. The thinking of these early 18th century naturalist helped to change the mindset and thinking of the early 19th century naturalist. By the early 19th century biogeography was ignited through the efforts of Alexander von Humboldt, Charles Lyell and Charles Darwin. The 19th-century fascination with natural history engendered a fervor to be the first to collect rare specimens with the goal of doing so before they became extinct by other such collectors. Although the work of many 18th and 19th century naturalists were to inspire nature enthusiasts and conservation organizations, their writings, by modern standards, showed insensitivity towards conservation as they would kill hundreds of specimens for their collections. The modern roots of conservation biology can be found in the late 18th-century Enlightenment period particularly in England and Scotland. A number of thinkers, among them notably Lord Monboddo, described the importance of "preserving nature"; much of this early emphasis had its origins in Christian theology. Scientific conservation principles were first practically applied to the forests of British India. The conservation ethic that began to evolve included three core principles: that human activity damaged the environment, that there was a civic duty to maintain the environment for future generations, and that scientific, empirically based methods should be applied to ensure this duty was carried out. Sir James Ranald Martin was prominent in promoting this ideology, publishing many medico-topographical reports that demonstrated the scale of damage wrought through large-scale deforestation and desiccation, and lobbying extensively for the institutionalization of forest conservation activities in British India through the establishment of Forest Departments. The Madras Board of Revenue started local conservation efforts in 1842, headed by Alexander Gibson, a professional botanist who systematically adopted a forest conservation program based on scientific principles. This was the first case of state conservation management of forests in the world. Governor-General Lord Dalhousie introduced the first permanent and large-scale forest conservation program in the world in 1855, a model that soon spread to other colonies, as well the United States, where Yellowstone National Park was opened in 1872 as the world's first national park. The term conservation came into widespread use in the late 19th century and referred to the management, mainly for economic reasons, of such natural resources as timber, fish, game, topsoil, pastureland, and minerals. In addition it referred to the preservation of forests (forestry), wildlife (wildlife refuge), parkland, wilderness, and watersheds. This period also saw the passage of the first conservation legislation and the establishment of the first nature conservation societies. The Sea Birds Preservation Act of 1869 was passed in Britain as the first nature protection law in the world after extensive lobbying from the Association for the Protection of Seabirds and the respected ornithologist Alfred Newton. Newton was also instrumental in the passage of the first Game laws from 1872, which protected animals during their breeding season so as to prevent the stock from being brought close to extinction. One of the first conservation societies was the Royal Society for the Protection of Birds, founded in 1889 in Manchester as a protest group campaigning against the use of great crested grebe and kittiwake skins and feathers in fur clothing. Originally known as "the Plumage League", the group gained popularity and eventually amalgamated with the Fur and Feather League in Croydon, and formed the RSPB. The National Trust formed in 1895 with the manifesto to "...promote the permanent preservation, for the benefit of the nation, of lands, ...to preserve (so far practicable) their natural aspect." In the United States, the Forest Reserve Act of 1891 gave the President power to set aside forest reserves from the land in the public domain. John Muir founded the Sierra Club in 1892, and the New York Zoological Society was set up in 1895. A series of national forests and preserves were established by Theodore Roosevelt from 1901 to 1909. The 1916 National Parks Act, included a 'use without impairment' clause, sought by John Muir, which eventually resulted in the removal of a proposal to build a dam in Dinosaur National Monument in 1959. In the 20th century, Canadian civil servants, including Charles Gordon Hewitt and James Harkin spearheaded the movement toward wildlife conservation. In the mid-20th century, efforts arose to target individual species for conservation, notably efforts in big cat conservation in South America led by the New York Zoological Society. In the early 20th century the New York Zoological Society was instrumental in developing concepts of establishing preserves for particular species and conducting the necessary conservation studies to determine the suitability of locations that are most appropriate as conservation priorities; the work of Henry Fairfield Osborn Jr., Carl E. Akeley, Archie Carr and his son Archie Carr III is notable in this era. [citation needed] Akeley for example, having led expeditions to the Virunga Mountains and observed the mountain gorilla in the wild, became convinced that the species and the area were conservation priorities. He was instrumental in persuading Albert I of Belgium to act in defense of the mountain gorilla and establish Albert National Park (since renamed Virunga National Park) in what is now Democratic Republic of Congo. By the 1970s, led primarily by work in the United States under the Endangered Species Act along with the Species at Risk Act (SARA) of Canada, Biodiversity Action Plans developed in Australia, Sweden, the United Kingdom, hundreds of species specific protection plans ensued. Notably the United Nations acted to conserve sites of outstanding cultural or natural importance to the common heritage of mankind. The programme was adopted by the General Conference of UNESCO in 1972. As of 2006, a total of 830 sites are listed: 644 cultural, 162 natural. The first country to pursue aggressive biological conservation through national legislation was the United States, which passed back to back legislation in the Endangered Species Act (1966) and National Environmental Policy Act (1970), which together injected major funding and protection measures to large-scale habitat protection and threatened species research. Other conservation developments, however, have taken hold throughout the world. India, for example, passed the Wildlife Protection Act of 1972. By 1992, most of the countries of the world had become committed to the principles of conservation of biological diversity with the Convention on Biological Diversity; subsequently many countries began programmes of Biodiversity Action Plans to identify and conserve threatened species within their borders, as well as protect associated habitats. The late 1990s saw increasing professionalism in the sector, with the maturing of organisations such as the Institute of Ecology and Environmental Management and the Society for the Environment. Since 2000, the concept of landscape scale conservation has risen to prominence, with less emphasis being given to single-species or even single-habitat focused actions. Instead an ecosystem approach is advocated by most mainstream conservationists, although concerns have been expressed by those working to protect some high-profile species. Ecology has clarified the workings of the biosphere; i.e., the complex interrelationships among humans, other species, and the physical environment. The burgeoning human population and associated agriculture, industry, and the ensuing pollution, have demonstrated how easily ecological relationships can be disrupted. 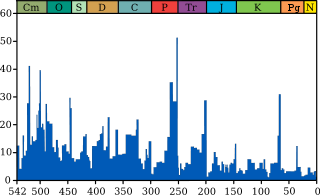 Extinction rates are measured in a variety of ways. Conservation biologists measure and apply statistical measures of fossil records, rates of habitat loss, and a multitude of other variables such as loss of biodiversity as a function of the rate of habitat loss and site occupancy to obtain such estimates. The Theory of Island Biogeography is possibly the most significant contribution toward the scientific understanding of both the process and how to measure the rate of species extinction. The current background extinction rate is estimated to be one species every few years. The measure of ongoing species loss is made more complex by the fact that most of the Earth's species have not been described or evaluated. Estimates vary greatly on how many species actually exist (estimated range: 3,600,000-111,700,000) to how many have received a species binomial (estimated range: 1.5-8 million). Less than 1% of all species that have been described beyond simply noting its existence. From these figures, the IUCN reports that 23% of vertebrates, 5% of invertebrates and 70% of plants that have been evaluated are designated as endangered or threatened. Better knowledge is being constructed by The Plant List for actual numbers of species. Conservation biologists regularly prepare detailed conservation plans for grant proposals or to effectively coordinate their plan of action and to identify best management practices (e.g.). Systematic strategies generally employ the services of Geographic Information Systems to assist in the decision making process. Conservation physiology was defined by Steven J. Cooke and colleagues as: 'An integrative scientific discipline applying physiological concepts, tools, and knowledge to characterizing biological diversity and its ecological implications; understanding and predicting how organisms, populations, and ecosystems respond to environmental change and stressors; and solving conservation problems across the broad range of taxa (i.e. including microbes, plants, and animals). Physiology is considered in the broadest possible terms to include functional and mechanistic responses at all scales, and conservation includes the development and refinement of strategies to rebuild populations, restore ecosystems, inform conservation policy, generate decision-support tools, and manage natural resources.' Conservation physiology is particularly relevant to practitioners in that it has the potential to generate cause-and-effect relationships and reveal the factors that contribute to population declines. The Society for Conservation Biology is a global community of conservation professionals dedicated to advancing the science and practice of conserving biodiversity. Conservation biology as a discipline reaches beyond biology, into subjects such as philosophy, law, economics, humanities, arts, anthropology, and education. Within biology, conservation genetics and evolution are immense fields unto themselves, but these disciplines are of prime importance to the practice and profession of conservation biology. Is conservation biology an objective science when biologists advocate for an inherent value in nature? Do conservationists introduce bias when they support policies using qualitative description, such as habitat degradation, or healthy ecosystems? As all scientists hold values, so do conservation biologists. Conservation biologists advocate for reasoned and sensible management of natural resources and do so with a disclosed combination of science, reason, logic, and values in their conservation management plans. This sort of advocacy is similar to the medical profession advocating for healthy lifestyle options, both are beneficial to human well-being yet remain scientific in their approach. There is a movement in conservation biology suggesting a new form of leadership is needed to mobilize conservation biology into a more effective discipline that is able to communicate the full scope of the problem to society at large. The movement proposes an adaptive leadership approach that parallels an adaptive management approach. The concept is based on a new philosophy or leadership theory steering away from historical notions of power, authority, and dominance. Adaptive conservation leadership is reflective and more equitable as it applies to any member of society who can mobilize others toward meaningful change using communication techniques that are inspiring, purposeful, and collegial. Adaptive conservation leadership and mentoring programs are being implemented by conservation biologists through organizations such as the Aldo Leopold Leadership Program. Conservation may be classified as either in-situ conservation, which is protecting an endangered species in its natural habitat, or ex-situ conservation, which occurs outside the natural habitat. In-situ conservation involves protecting or restoring the habitat. Ex-situ conservation, on the other hand, involves protection outside of an organism's natural habitat, such as on reservations or in gene banks, in circumstances where viable populations may not be present in the natural habitat. Also, non-interference may be used, which is termed a preservationist method. Preservationists advocate for giving areas of nature and species a protected existence that halts interference from the humans. In this regard, conservationists differ from preservationists in the social dimension, as conservation biology engages society and seeks equitable solutions for both society and ecosystems. Some preservationists emphasize the potential of biodiversity in a world without humans. Conservation biologists are interdisciplinary researchers that practice ethics in the biological and social sciences. Chan states that conservationists must advocate for biodiversity and can do so in a scientifically ethical manner by not promoting simultaneous advocacy against other competing values. A pie chart image showing the relative biomass representation in a rain forest through a summary of children's perceptions from drawings and artwork (left), through a scientific estimate of actual biomass (middle), and by a measure of biodiversity (right). Notice that the biomass of social insects (middle) far outweighs the number of species (right). The International Union for the Conservation of Nature (IUCN) has organized a global assortment of scientists and research stations across the planet to monitor the changing state of nature in an effort to tackle the extinction crisis. The IUCN provides annual updates on the status of species conservation through its Red List. The IUCN Red List serves as an international conservation tool to identify those species most in need of conservation attention and by providing a global index on the status of biodiversity. More than the dramatic rates of species loss, however, conservation scientists note that the sixth mass extinction is a biodiversity crisis requiring far more action than a priority focus on rare, endemic or endangered species. Concerns for biodiversity loss covers a broader conservation mandate that looks at ecological processes, such as migration, and a holistic examination of biodiversity at levels beyond the species, including genetic, population and ecosystem diversity. Extensive, systematic, and rapid rates of biodiversity loss threatens the sustained well-being of humanity by limiting supply of ecosystem services that are otherwise regenerated by the complex and evolving holistic network of genetic and ecosystem diversity. While the conservation status of species is employed extensively in conservation management, some scientists highlight that it is the common species that are the primary source of exploitation and habitat alteration by humanity. Moreover, common species are often undervalued despite their role as the primary source of ecosystem services. While most in the community of conservation science "stress the importance" of sustaining biodiversity, there is debate on how to prioritize genes, species, or ecosystems, which are all components of biodiversity (e.g. Bowen, 1999). While the predominant approach to date has been to focus efforts on endangered species by conserving biodiversity hotspots, some scientists (e.g) and conservation organizations, such as the Nature Conservancy, argue that it is more cost-effective, logical, and socially relevant to invest in biodiversity coldspots. The costs of discovering, naming, and mapping out the distribution of every species, they argue, is an ill-advised conservation venture. They reason it is better to understand the significance of the ecological roles of species. Biodiversity hotspots and coldspots are a way of recognizing that the spatial concentration of genes, species, and ecosystems is not uniformly distributed on the Earth's surface. For example, "[...] 44% of all species of vascular plants and 35% of all species in four vertebrate groups are confined to 25 hotspots comprising only 1.4% of the land surface of the Earth." Those arguing in favor of setting priorities for coldspots point out that there are other measures to consider beyond biodiversity. They point out that emphasizing hotspots downplays the importance of the social and ecological connections to vast areas of the Earth's ecosystems where biomass, not biodiversity, reigns supreme. It is estimated that 36% of the Earth's surface, encompassing 38.9% of the worlds vertebrates, lacks the endemic species to qualify as biodiversity hotspot. Moreover, measures show that maximizing protections for biodiversity does not capture ecosystem services any better than targeting randomly chosen regions. Population level biodiversity (mostly in coldspots) are disappearing at a rate that is ten times that at the species level. The level of importance in addressing biomass versus endemism as a concern for conservation biology is highlighted in literature measuring the level of threat to global ecosystem carbon stocks that do not necessarily reside in areas of endemism. A hotspot priority approach would not invest so heavily in places such as steppes, the Serengeti, the Arctic, or taiga. These areas contribute a great abundance of population (not species) level biodiversity and ecosystem services, including cultural value and planetary nutrient cycling. Those in favor of the hotspot approach point out that species are irreplaceable components of the global ecosystem, they are concentrated in places that are most threatened, and should therefore receive maximal strategic protections. The IUCN Red List categories, which appear on Wikipedia species articles, is an example of the hotspot conservation approach in action; species that are not rare or endemic are listed the least concern and their Wikipedia articles tend to be ranked low on the importance scale. [dubious – discuss] This is a hotspot approach because the priority is set to target species level concerns over population level or biomass. [not in citation given] Species richness and genetic biodiversity contributes to and engenders ecosystem stability, ecosystem processes, evolutionary adaptability, and biomass. Both sides agree, however, that conserving biodiversity is necessary to reduce the extinction rate and identify an inherent value in nature; the debate hinges on how to prioritize limited conservation resources in the most cost-effective way. Conservation biologists have started to collaborate with leading global economists to determine how to measure the wealth and services of nature and to make these values apparent in global market transactions. This system of accounting is called natural capital and would, for example, register the value of an ecosystem before it is cleared to make way for development. The WWF publishes its Living Planet Report and provides a global index of biodiversity by monitoring approximately 5,000 populations in 1,686 species of vertebrate (mammals, birds, fish, reptiles, and amphibians) and report on the trends in much the same way that the stock market is tracked. This method of measuring the global economic benefit of nature has been endorsed by the G8+5 leaders and the European Commission. Nature sustains many ecosystem services that benefit humanity. Many of the Earth's ecosystem services are public goods without a market and therefore no price or value. When the stock market registers a financial crisis, traders on Wall Street are not in the business of trading stocks for much of the planet's living natural capital stored in ecosystems. There is no natural stock market with investment portfolios into sea horses, amphibians, insects, and other creatures that provide a sustainable supply of ecosystem services that are valuable to society. The ecological footprint of society has exceeded the bio-regenerative capacity limits of the planet's ecosystems by about 30 percent, which is the same percentage of vertebrate populations that have registered decline from 1970 through 2005. The ecological credit crunch is a global challenge. The Living Planet Report 2008 tells us that more than three-quarters of the world's people live in nations that are ecological debtors – their national consumption has outstripped their country's biocapacity. Thus, most of us are propping up our current lifestyles, and our economic growth, by drawing (and increasingly overdrawing) upon the ecological capital of other parts of the world. Although a direct market comparison of natural capital is likely insufficient in terms of human value, one measure of ecosystem services suggests the contribution amounts to trillions of dollars yearly. For example, one segment of North American forests has been assigned an annual value of 250 billion dollars; as another example, honey-bee pollination is estimated to provide between 10 and 18 billion dollars of value yearly. The value of ecosystem services on one New Zealand island has been imputed to be as great as the GDP of that region. This planetary wealth is being lost at an incredible rate as the demands of human society is exceeding the bio-regenerative capacity of the Earth. While biodiversity and ecosystems are resilient, the danger of losing them is that humans cannot recreate many ecosystem functions through technological innovation. Some species, called a keystone species form a central supporting hub unique to their ecosystem. The loss of such a species results in a collapse in ecosystem function, as well as the loss of coexisting species. Keystone species are usually predators due to their ability to control the population of prey in their ecosystem. The importance of a keystone species was shown by the extinction of the Steller's sea cow (Hydrodamalis gigas) through its interaction with sea otters, sea urchins, and kelp. Kelp beds grow and form nurseries in shallow waters to shelter creatures that support the food chain. Sea urchins feed on kelp, while sea otters feed on sea urchins. With the rapid decline of sea otters due to overhunting, sea urchin populations grazed unrestricted on the kelp beds and the ecosystem collapsed. Left unchecked, the urchins destroyed the shallow water kelp communities that supported the Steller's sea cow's diet and hastened their demise. The sea otter was thought to be a keystone species because the coexistence of many ecological associates in the kelp beds relied upon otters for their survival. However this was later questioned by Turvey and Risley, who showed that hunting alone would have driven the Steller's sea cow extinct. An indicator species has a narrow set of ecological requirements, therefore they become useful targets for observing the health of an ecosystem. Some animals, such as amphibians with their semi-permeable skin and linkages to wetlands, have an acute sensitivity to environmental harm and thus may serve as a miner's canary. Indicator species are monitored in an effort to capture environmental degradation through pollution or some other link to proximate human activities. Monitoring an indicator species is a measure to determine if there is a significant environmental impact that can serve to advise or modify practice, such as through different forest silviculture treatments and management scenarios, or to measure the degree of harm that a pesticide may impart on the health of an ecosystem. Government regulators, consultants, or NGOs regularly monitor indicator species, however, there are limitations coupled with many practical considerations that must be followed for the approach to be effective. It is generally recommended that multiple indicators (genes, populations, species, communities, and landscape) be monitored for effective conservation measurement that prevents harm to the complex, and often unpredictable, response from ecosystem dynamics (Noss, 1997:88–89). An example of an umbrella species is the monarch butterfly, because of its lengthy migrations and aesthetic value. The monarch migrates across North America, covering multiple ecosystems and so requires a large area to exist. Any protections afforded to the monarch butterfly will at the same time umbrella many other species and habitats. An umbrella species is often used as flagship species, which are species, such as the giant panda, the blue whale, the tiger, the mountain gorilla and the monarch butterfly, that capture the public's attention and attract support for conservation measures. Paradoxically, however, conservation bias towards flagship species sometimes threatens other species of chief concern. Conservation biologists study trends and process from the paleontological past to the ecological present as they gain an understanding of the context related to species extinction. It is generally accepted that there have been five major global mass extinctions that register in Earth's history. These include: the Ordovician (440 mya), Devonian (370 mya), Permian–Triassic (245 mya), Triassic–Jurassic (200 mya), and Cretaceous–Paleogene extinction event (66 mya) extinction spasms. Within the last 10,000 years, human influence over the Earth's ecosystems has been so extensive that scientists have difficulty estimating the number of species lost; that is to say the rates of deforestation, reef destruction, wetland draining and other human acts are proceeding much faster than human assessment of species. The latest Living Planet Report by the World Wide Fund for Nature estimates that we have exceeded the bio-regenerative capacity of the planet, requiring 1.6 Earths to support the demands placed on our natural resources. An art scape image showing the relative importance of animals in a rain forest through a summary of (a) child's perception compared with (b) a scientific estimate of the importance. The size of the animal represents its importance. The child's mental image places importance on big cats, birds, butterflies, and then reptiles versus the actual dominance of social insects (such as ants). Conservation biologists are dealing with and have published evidence from all corners of the planet indicating that humanity may be causing the sixth and fastest planetary extinction event. It has been suggested that we are living in an era of unprecedented numbers of species extinctions, also known as the Holocene extinction event. The global extinction rate may be approximately 1,000 times higher than the natural background extinction rate. It is estimated that two-thirds of all mammal genera and one-half of all mammal species weighing at least 44 kilograms (97 lb) have gone extinct in the last 50,000 years. The Global Amphibian Assessment reports that amphibians are declining on a global scale faster than any other vertebrate group, with over 32% of all surviving species being threatened with extinction. The surviving populations are in continual decline in 43% of those that are threatened. Since the mid-1980s the actual rates of extinction have exceeded 211 times rates measured from the fossil record. However, "The current amphibian extinction rate may range from 25,039 to 45,474 times the background extinction rate for amphibians." The global extinction trend occurs in every major vertebrate group that is being monitored. For example, 23% of all mammals and 12% of all birds are Red Listed by the International Union for Conservation of Nature (IUCN), meaning they too are threatened with extinction. Even though extinction is natural, the decline in species is happening at such an incredible rate that evolution can simply not match, therefore, leading to the greatest continual mass extinction on Earth. Humans have dominated the planet and our high consumption of resources, along with the pollution generated is affecting the environments in which other species live. There are a wide variety of species that humans are working to protect such as the Hawaiian Crow and the Whooping Crane of Texas. People can also take action on preserving species by advocating and voting for global and national policies that improve climate, under the concepts of climate mitigation and climate restoration. The Earth's oceans demand particular attention as climate change continues to alter pH levels, making it uninhabitable for organisms with shells which dissolve as a result. Global assessments of coral reefs of the world continue to report drastic and rapid rates of decline. By 2000, 27% of the world's coral reef ecosystems had effectively collapsed. The largest period of decline occurred in a dramatic "bleaching" event in 1998, where approximately 16% of all the coral reefs in the world disappeared in less than a year. Coral bleaching is caused by a mixture of environmental stresses, including increases in ocean temperatures and acidity, causing both the release of symbiotic algae and death of corals. Decline and extinction risk in coral reef biodiversity has risen dramatically in the past ten years. The loss of coral reefs, which are predicted to go extinct in the next century, threatens the balance of global biodiversity, will have huge economic impacts, and endangers food security for hundreds of millions of people. Conservation biology plays an important role in international agreements covering the world's oceans (and other issues pertaining to biodiversity). These predictions will undoubtedly appear extreme, but it is difficult to imagine how such changes will not come to pass without fundamental changes in human behavior. The oceans are threatened by acidification due to an increase in CO2 levels. This is a most serious threat to societies relying heavily upon oceanic natural resources. A concern is that the majority of all marine species will not be able to evolve or acclimate in response to the changes in the ocean chemistry. The prospects of averting mass extinction seems unlikely when "[...] 90% of all of the large (average approximately ≥50 kg), open ocean tuna, billfishes, and sharks in the ocean" are reportedly gone. Given the scientific review of current trends, the ocean is predicted to have few surviving multi-cellular organisms with only microbes left to dominate marine ecosystems. Serious concerns also being raised about taxonomic groups that do not receive the same degree of social attention or attract funds as the vertebrates. These include fungal (including lichen-forming species), invertebrate (particularly insect) and plant communities where the vast majority of biodiversity is represented. Conservation of fungi and conservation of insects, in particular, are both of pivotal importance for conservation biology. As mycorrhizal symbionts, and as decomposers and recyclers, fungi are essential for sustainability of forests. The value of insects in the biosphere is enormous because they outnumber all other living groups in measure of species richness. The greatest bulk of biomass on land is found in plants, which is sustained by insect relations. This great ecological value of insects is countered by a society that often reacts negatively toward these aesthetically 'unpleasant' creatures. One area of concern in the insect world that has caught the public eye is the mysterious case of missing honey bees (Apis mellifera). Honey bees provide an indispensable ecological services through their acts of pollination supporting a huge variety of agriculture crops. The use of honey and wax have become vastly used throughout the world. The sudden disappearance of bees leaving empty hives or colony collapse disorder (CCD) is not uncommon. However, in 16-month period from 2006 through 2007, 29% of 577 beekeepers across the United States reported CCD losses in up to 76% of their colonies. This sudden demographic loss in bee numbers is placing a strain on the agricultural sector. The cause behind the massive declines is puzzling scientists. Pests, pesticides, and global warming are all being considered as possible causes. Another highlight that links conservation biology to insects, forests, and climate change is the mountain pine beetle (Dendroctonus ponderosae) epidemic of British Columbia, Canada, which has infested 470,000 km2 (180,000 sq mi) of forested land since 1999. An action plan has been prepared by the Government of British Columbia to address this problem. This impact [pine beetle epidemic] converted the forest from a small net carbon sink to a large net carbon source both during and immediately after the outbreak. In the worst year, the impacts resulting from the beetle outbreak in British Columbia were equivalent to 75% of the average annual direct forest fire emissions from all of Canada during 1959–1999. A large proportion of parasite species are threatened by extinction. A few of them are being eradicated as pests of humans or domestic animals, however, most of them are harmless. Threats include the decline or fragmentation of host populations, or the extinction of host species. Today, many threats to Biodiversity exist. An acronym that can be used to express the top threats of present-day H.I.P.P.O stands for Habitat Loss, Invasive Species, Pollution, Human Population, and Overharvesting. The primary threats to biodiversity are habitat destruction (such as deforestation, agricultural expansion, urban development), and overexploitation (such as wildlife trade). Habitat fragmentation also poses challenges, because the global network of protected areas only covers 11.5% of the Earth's surface. A significant consequence of fragmentation and lack of linked protected areas is the reduction of animal migration on a global scale. Considering that billions of tonnes of biomass are responsible for nutrient cycling across the earth, the reduction of migration is a serious matter for conservation biology. Human activities are associated directly or indirectly with nearly every aspect of the current extinction spasm. However, human activities need not necessarily cause irreparable harm to the biosphere. With conservation management and planning for biodiversity at all levels, from genes to ecosystems, there are examples where humans mutually coexist in a sustainable way with nature. Even with the current threats to biodiversity there are ways we can improve the current condition and start anew. Many of the threats to biodiversity, including disease and climate change, are reaching inside borders of protected areas, leaving them 'not-so protected' (e.g. Yellowstone National Park). Climate change, for example, is often cited as a serious threat in this regard, because there is a feedback loop between species extinction and the release of carbon dioxide into the atmosphere. Ecosystems store and cycle large amounts of carbon which regulates global conditions. In present day, there have been major climate shifts with temperature changes making survival of some species difficult. The effects of global warming add a catastrophic threat toward a mass extinction of global biological diversity. Conservationists have claimed that not all the species can be saved, and they have to decide which their efforts should be used to protect. This concept is known as the Conservation Triage. The extinction threat is estimated to range from 15 to 37 percent of all species by 2050, or 50 percent of all species over the next 50 years. The current extinction rate is 100-100,000 times more rapid today than the last several billion years. ^ a b c Sahney, S.; Benton, M. J (2008). "Recovery from the most profound mass extinction of all time". Proceedings of the Royal Society B: Biological Sciences. 275 (1636): 759–65. doi:10.1098/rspb.2007.1370. PMC 2596898. PMID 18198148. ^ a b Soulé, Michael E.; Wilcox, Bruce A. (1980). Conservation biology: an evolutionary-ecological perspective. Sunderland, Mass: Sinauer Associates. ISBN 978-0-87893-800-1. ^ Soulé, Michael E. (1986). "What is Conservation Biology?" (PDF). BioScience. American Institute of Biological Sciences. 35 (11): 727–34. doi:10.2307/1310054. JSTOR 1310054. ^ a b Soule, Michael E. (1986). Conservation Biology: The Science of Scarcity and Diversity. Sinauer Associates. p. 584. ISBN 978-0-87893-795-0. ^ a b c d e f g h i j Hunter, Malcolm L. (1996). Fundamentals of conservation biology. Oxford: Blackwell Science. ISBN 978-0-86542-371-8. ^ a b c d Meffe, Gary K.; Martha J. Groom (2006). Principles of conservation biology (3rd ed.). Sunderland, Mass: Sinauer Associates. ISBN 978-0-87893-518-5. ^ a b c d e f g h i j k l m n Van Dyke, Fred (2008). Conservation biology: foundations, concepts, applications (2nd ed.). New York: Springer-Verlag. doi:10.1007/978-1-4020-6891-1. ISBN 9781402068904. OCLC 232001738. ^ J. Douglas. 1978. Biologists urge US endowment for conservation. Nature Vol. 275, 14 September 1978. Kat Williams . 1978. Natural Sciences. Science News. September 30, 1978. ^ Organization of the meeting itself also entailed bridging a gap between genetics and ecology. Soulé, was an evolutionary geneticist working with wheat geneticist Sir Otto Frankel to advance conservation genetics as a new field at the time. Jared Diamond, who suggested the idea for a conference to Wilcox was concerned with the application of community ecology and island biogeography theory to conservation. Wilcox and Thomas Lovejoy, who together initiated planning for the conference in June 1977 when Lovejoy secured a commitment of seed funding at World Wildlife Fund, felt both genetics and ecology should be represented. Wilcox suggested use of a new term conservation biology, complementing Frankel's conception and coining of "conservation genetics", to encompass the application of biological sciences in general to conservation. Subsequently, Soulé and Wilcox wrote conceived the agenda for the meeting they jointly convened on September 6–9, 1978, titled First International Conference on Resesarch in Conservation Biology, in which the program described "The purpose of this conference is to accelerate and facilitate the development of a rigorous new discipline called conservation biology -- a multidisciplinary field drawing its insights and methodology mostly from population ecology, community ecology, sociobiology, population genetics, and reproductive biology." This inclusion of topics at the meeting related to animal breeding reflected participation and support of the zoo and captive breeding communities. ^ a b Cooke, S. J.; Sack, L.; Franklin, C. E.; Farrell, A. P.; Beardall, J.; Wikelski, M.; Chown, S. L. (2013). "What is conservation physiology? Perspectives on an increasingly integrated and essential science". Conservation Physiology. 1 (1): cot001. doi:10.1093/conphys/cot001. PMC 4732437. PMID 27293585. ^ Kala, Chandra Prakash (2005). "Indigenous Uses, Population Density, and Conservation of Threatened Medicinal Plants in Protected Areas of the Indian Himalayas". Conservation Biology. 19 (2): 368–78. doi:10.1111/j.1523-1739.2005.00602.x. JSTOR 3591249. ^ a b Sahney, S.; Benton, M. J.; Ferry, P. A. (2010). "Links between global taxonomic diversity, ecological diversity and the expansion of vertebrates on land". Biology Letters. 6 (4): 544–7. doi:10.1098/rsbl.2009.1024. PMC 2936204. PMID 20106856. ^ a b c Koh, Lian Pin; Dunn, Robert R.; Sodhi, Navjot S.; Colwell, Robert K.; Proctor, Heather C.; Smith, Vincent S. (2004). "Species coextinctions and the biodiversity crisis". Science. 305 (5690): 1632–4. Bibcode:2004Sci...305.1632K. doi:10.1126/science.1101101. PMID 15361627. ^ Millennium Ecosystem Assessment (2005). Ecosystems and Human Well-being: Biodiversity Synthesis. World Resources Institute, Washington, DC. ^ a b c d Jackson, J. B. C. (2008). "Ecological extinction and evolution in the brave new ocean". Proceedings of the National Academy of Sciences. 105 (Suppl 1): 11458–65. Bibcode:2008PNAS..10511458J. doi:10.1073/pnas.0802812105. PMC 2556419. PMID 18695220. ^ "Biodiversity protection and preservation". www.ffem.fr. Archived from the original on 2016-10-18. Retrieved 2016-10-11. ^ Hardin G (December 1968). "The Tragedy of the Commons" (PDF). Science. 162 (3859): 1243–8. Bibcode:1968Sci...162.1243H. doi:10.1126/science.162.3859.1243. PMID 5699198. Archived from the original (PDF) on 2011-07-19. ^ Also considered to be a consequence of evolution, where individual selection is favored over group selection. For recent discussions, see: Kay CE (1997). "The Ultimate Tragedy of Commons". Conserv. Biol. 11 (6): 1447–8. doi:10.1046/j.1523-1739.1997.97069.x. ^ Murphree, Marshall W. (2009-05-22). "The strategic pillars of communal natural resource management: benefit, empowerment and conservation". Biodiversity and Conservation. 18 (10): 2551–2562. doi:10.1007/s10531-009-9644-0. ISSN 0960-3115. ^ Wilson, David Alec (2002). Darwin's cathedral: evolution, religion, and the nature of society. Chicago: University of Chicago Press. ISBN 978-0-226-90134-3. ^ Primack, Richard B. (2004). A Primer of Conservation Biology, 3rd ed. Sinauer Associates. pp. 320pp. ISBN 978-0-87893-728-8. ^ a b c Evans, David (1997). A history of nature conservation in Britain. New York: Routledge. ISBN 978-0-415-14491-9. ^ a b c Farber, Paul Lawrence (2000). Finding order in nature: the naturalist tradition from Linnaeus to E. O. Wilson. Baltimore: Johns Hopkins University Press. ISBN 978-0-8018-6390-5. ^ a b c Mader, Sylvia (2016). Biology. New York, NY: McGraw Hill Education. p. 262. ISBN 978-0-07-802426-9. ^ "Introduction to Conservation Biology and Biogeography". web2.uwindsor.ca. ^ a b Cloyd, E. L. (1972). James Burnett, Lord Monboddo. New York: Oxford University Press. p. 196. ISBN 978-0-19-812437-5. ^ Barton, Greg (2002). Empire Forestry and the Origins of Environmentalism. Cambridge University Press. p. 48. ISBN 978-1-139-43460-7. ^ MUTHIAH, S. (Nov 5, 2007). "A life for forestry". Metro Plus Chennai. Chennai, India: The Hindu. Retrieved 2009-03-09. ^ Cleghorn, Hugh Francis Clarke (1861). The Forests and Gardens of South India (Original from the University of Michigan, Digitized Feb 10, 2006 ed.). London: W. H. Allen. OCLC 301345427. ^ Bennett, Brett M. (2005). "Early Conservation Histories in Bengal and British India: 1875-1922". Journal of the Asiatic Society of Bangladesh. Asiatic Society of Bangladesh. 50 (1–2): 485–500. ISSN 1016-6947. Archived from the original on 2012-03-04. ^ Haines, Aubrey (1996). The Yellowstone Story: A History of Our First National Park: Volume 1 Revised Edition. Yellowstone Association for Natural Science, History of Education. ^ G. Baeyens; M. L. Martinez (2007). Coastal Dunes: Ecology and Conservation. Springer. p. 282. ^ Makel, Jo (2 February 2011). "Protecting seabirds at Bempton Cliffs". BBC News. ^ Newton A. 1899. The plume trade: borrowed plumes. The Times 28 January 1876; and The plume trade. The Times 25 February 1899. Reprinted together by the Society for the Protection of Birds, April 1899. ^ Newton A. 1868. The zoological aspect of game laws. Address to the British Association, Section D, August 1868. Reprinted [n.d.] by the Society for the Protection of Birds. ^ "Milestones". RSPB. Retrieved 19 February 2007. ^ Penna, Anthony N. (1999). Nature's Bounty: Historical and Modern Environmental Perspectives. Armonk, N.Y. U.S.A.: M. E. Sharpe. p. 99. ISBN 978-0-7656-0187-2. ^ "History of the RSPB". RSPB. Retrieved 19 February 2007. ^ "Theodore Roosevelt and Conservation - Theodore Roosevelt National Park (U.S. National Park Service)". www.nps.gov. Retrieved 2016-10-04. ^ "Environmental timeline 1890–1920". runet.edu. Archived from the original on 2005-02-23. ^ Davis, Peter (1996). Museums and the natural environment: the role of natural history museums in biological conservation. London: Leicester University Press. ISBN 978-0-7185-1548-5. ^ "Chrono-Biographical Sketch: Charles Gordon Hewitt". people.wku.edu. Retrieved 2017-05-07. ^ For a review and introduction to the history of wildlife conservation and preservation in Canada, see Foster, Janet (1997). Working for wildlife: the beginning of preservation in Canada (2nd ed.). Toronto: University of Toronto Press. ISBN 978-0-8020-7969-5. ^ Carr, Marjorie Harris; Carr, Archie Fairly (1994). A naturalist in Florida: a celebration of Eden. New Haven, Conn: Yale University Press. ISBN 978-0-300-05589-4. ^ "Chrono-Biographical Sketch: (Henry) Fairfield Osborn, Jr". www.wku.edu. ^ Akeley, C., 1923. In Brightest Africa New York, Doubleday. 188-249. ^ "16 U.S. Code § 1531 - Congressional findings and declaration of purposes and policy". LII / Legal Information Institute. ^ "US Government Publishing Office - FDsys - Browse Publications". frwebgate.access.gpo.gov. ^ Krausman, Paul R.; Johnsingh, A. J. T. (1990). "Conservation and Wildlife Education in India". Wildlife Society Bulletin. 18 (3): 342–7. JSTOR 3782224. ^ Gore, Albert (1992). Earth in the balance: ecology and the human spirit. Boston: Houghton Mifflin. ISBN 978-0-395-57821-6. ^ Regan, Helen M.; Lupia, Richard; Drinnan, Andrew N.; Burgman, Mark A. (2001). "The Currency and Tempo of Extinction". The American Naturalist. 157 (1): 1–10. doi:10.1086/317005. PMID 18707231. ^ MacKenzie, Darryl I.; Nichols, James D.; Hines, James E.; Knutson, Melinda G.; Franklin, Alan B. (2003). "Estimating Site Occupancy, Colonization, and Local Extinction When a Species Is Detected Imperfectly". Ecology. 84 (8): 2200–2207. doi:10.1890/02-3090. JSTOR 3450043. ^ Balmford, Andrew; Green, Rhys E.; Jenkins, Martin (2003). "Measuring the changing state of nature". Trends in Ecology & Evolution. 18 (7): 326–30. doi:10.1016/S0169-5347(03)00067-3. ^ MacArthur, R.H.; Wilson, E.O. (2001). The Theory of Island Biogeography. Princeton, N.J: Princeton University Press. ISBN 978-0-691-08836-5. ^ Raup DM (1991). "A kill curve for Phanerozoic marine species". Paleobiology. 17 (1): 37–48. doi:10.1017/S0094837300010332. PMID 11538288. ^ a b c Wilson, Edward O. (2000). "On the Future of Conservation Biology". Conservation Biology. 14 (1): 1–3. doi:10.1046/j.1523-1739.2000.00000-e1.x. ^ The IUCN does not disaggregate endangered from critically endangered or threatened for the purpose of these statistics. ^ Margules CR, Pressey RL (May 2000). "Systematic conservation planning" (PDF). Nature. 405 (6783): 243–53. doi:10.1038/35012251. PMID 10821285. Archived from the original (PDF) on 2009-02-25. ^ The Amphibian Conservation Action Plan is one example. See also: Chan KM, Shaw MR, Cameron DR, Underwood EC, Daily GC (October 2006). "Conservation Planning for Ecosystem Services". PLoS Biol. 4 (11): e379. doi:10.1371/journal.pbio.0040379. PMC 1629036. PMID 17076586. ^ Manolis JC, Chan KM, Finkelstein ME, Stephens S, Nelson CR, Grant JB, Dombeck MP (2009). "Leadership: A new frontier in conservation science". Conserv. Biol. 23 (4): 879–86. doi:10.1111/j.1523-1739.2008.01150.x. PMID 19183215. ^ "Aldo Leopold Leadership Program". Woods Institute for the Environment, Stanford University. Archived from the original on 2007-02-17. ^ a b Kala, Chandra Prakash (2009). "Medicinal plants conservation and enterprise development". Medicinal Plants - International Journal of Phytomedicines and Related Industries. 1 (2): 79–95. doi:10.5958/j.0975-4261.1.2.011. ^ Chan, Kai M. A. (2008). "Value and Advocacy in Conservation Biology: Crisis Discipline or Discipline in Crisis?". Conservation Biology. 22 (1): 1–3. doi:10.1111/j.1523-1739.2007.00869.x. PMID 18254846. ^ a b Vié, J. C.; Hilton-Taylor, C.; Stuart, S.N. (2009). "Wildlife in a Changing World – An Analysis of the 2008 IUCN Red List of Threatened Species" (PDF). Gland, Switzerland: IUCN: 180. Retrieved December 24, 2010. ^ a b Molnar, J.; Marvier, M.; Kareiva, P. (2004). "The sum is greater than the parts". Conservation Biology. 18 (6): 1670–1. doi:10.1111/j.1523-1739.2004.00l07.x. ^ Gaston, K.J. (2010). "Valuing common species". Science. 327 (5962): 154–155. Bibcode:2010Sci...327..154G. doi:10.1126/science.1182818. PMID 20056880. ^ Kearns, Carol Ann (2010). "Conservation of Biodiversity". Nature Education Knowledge. 3 (10): 7. ^ Committee on Recently Extinct Organisms. "Why Care About Species That Have Gone Extinct?". URL accessed July 30, 2006. ^ a b Luck, Gary W.; Daily, Gretchen C.; Ehrlich, Paul R. (2003). "Population diversity and ecosystem services". Trends in Ecology & Evolution. 18 (7): 331–6. doi:10.1016/S0169-5347(03)00100-9. ^ Kareiva, Peter; Marvier, Michelle (2003). "Conserving Biodiversity Coldspots". American Scientist. 91 (4): 344–51. doi:10.1511/2003.4.344. ^ Myers, Norman; Mittermeier, Russell A.; Mittermeier, Cristina G.; da Fonseca, Gustavo A. B.; Kent, Jennifer (2000). "Biodiversity hotspots for conservation priorities". Nature. 403 (6772): 853–8. Bibcode:2000Natur.403..853M. doi:10.1038/35002501. PMID 10706275. ^ Underwood EC, Shaw MR, Wilson KA, et al. (2008). Somers M, ed. "Protecting Biodiversity when Money Matters: Maximizing Return on Investment". PLoS ONE. 3 (1): e1515. Bibcode:2008PLoSO...3.1515U. doi:10.1371/journal.pone.0001515. PMC 2212107. PMID 18231601. ^ Leroux SJ, Schmiegelow FK (February 2007). "Biodiversity concordance and the importance of endemism". Conserv. Biol. 21 (1): 266–8, discussion 269–70. doi:10.1111/j.1523-1739.2006.00628.x. PMID 17298533. ^ Naidoo R, Balmford A, Costanza R, et al. (July 2008). "Global mapping of ecosystem services and conservation priorities". Proc. Natl. Acad. Sci. U.S.A. 105 (28): 9495–500. Bibcode:2008PNAS..105.9495N. doi:10.1073/pnas.0707823105. PMC 2474481. PMID 18621701. ^ a b c Wood CC, Gross MR (February 2008). "Elemental conservation units: communicating extinction risk without dictating targets for protection" (PDF). Conserv. Biol. 22 (1): 36–47. doi:10.1111/j.1523-1739.2007.00856.x. PMID 18254851. ^ a b c Running, S. W. (2008). "Climate Change: Ecosystem Disturbance, Carbon, and Climate". Science. 321 (5889): 652–3. doi:10.1126/science.1159607. PMID 18669853. ^ a b c Kurz, W. A.; Dymond, C. C.; Stinson, G.; Rampley, G. J.; Neilson, E. T.; Carroll, A. L.; Ebata, T.; Safranyik, L. (2008). "Mountain pine beetle and forest carbon feedback to climate change". Nature. 452 (7190): 987–90. Bibcode:2008Natur.452..987K. doi:10.1038/nature06777. PMID 18432244. ^ The Global Conservation Fund Archived 2007-11-16 at the Wayback Machine is an example of funding organization that excludes biodiversity coldspots in its strategic campaign. ^ "The Biodiversity Hotspots". Archived from the original on 2008-12-22. Bowen, B. W. (December 1999). "Preserving genes, species, or ecosystems? Healing the fractured foundations of conservation policy" (PDF). Molecular Ecology. 8 (12 Suppl 1): S5–10. doi:10.1046/j.1365-294X.1999.00798.x. PMID 10703547. Cardinale BJ, Wright JP, Cadotte MW, et al. (November 2007). "Impacts of plant diversity on biomass production increase through time because of species complementarity". Proc. Natl. Acad. Sci. U.S.A. 104 (46): 18123–8. Bibcode:2007PNAS..10418123C. doi:10.1073/pnas.0709069104. PMC 2084307. PMID 17991772. ^ a b c European Communities (2008). The economics of ecosystems and biodiversity. Interim Report (PDF). Wesseling, Germany: Welzel+Hardt. ISBN 978-92-79-08960-2. ^ a b c WWF. "World Wildlife Fund" (PDF). Retrieved January 8, 2009. ^ "From the Ecological Society of America (ESA)". ^ a b Millennium Ecosystem Assessment. (2005). Ecosystems and Human Well-being: Biodiversity Synthesis. World Resources Institute, Washington, DC. ^ Black, Richard (2008-12-22). "Bees get plants' pests in a flap". BBC News. Retrieved 2010-04-01. ^ Hermoso, Virgilio; Abell, R; Linke, S; Boon, P (2016). "The role of protected areas for freshwater biodiversity conservation: challenges and opportunities in a rapidly changing world". Aquatic Conservation - Marine and Freshwater Ecosystems. 26 (S1): 3–11. doi:10.1002/aqc.2681. ^ Mitchell R, Popham F (November 2008). "Effect of exposure to natural environment on health inequalities: an observational population study". Lancet. 372 (9650): 1655–60. doi:10.1016/S0140-6736(08)61689-X. PMID 18994663. ^ Mikkelson GM, Gonzalez A, Peterson GD (2007). Chave J, ed. "Economic Inequality Predicts Biodiversity Loss". PLoS ONE. 2 (5): e444. Bibcode:2007PLoSO...2..444M. doi:10.1371/journal.pone.0000444. PMC 1864998. PMID 17505535. ^ Staff of World Resources Program. (1998). Valuing Ecosystem Services Archived 2008-11-30 at the Wayback Machine. World Resources 1998-99. ^ Committee on Noneconomic and Economic Value of Biodiversity, Board on Biology, Commission on Life Sciences, National Research Council (1999). Perspectives on biodiversity: valuing its role in an everchanging world. Washington, D.C: National Academy Press. ISBN 978-0-309-06581-8. ^ a b Society, National Geographic (2011-01-21). "keystone species". National Geographic Society. Retrieved 2016-10-11. ^ a b Turvey, S.T; Risley, C.L (2006). "Modelling the extinction of Steller's sea cow". Biology Letters. 2 (1): 94–7. doi:10.1098/rsbl.2005.0415. PMC 1617197. PMID 17148336. ^ Landres PB, Verner J, Thomas JW (1988). "Ecological Uses of Vertebrate Indicator Species: A Critique" (PDF). Conserv. Biol. 2 (4): 316–28. doi:10.1111/j.1523-1739.1988.tb00195.x. ^ Carroll, C. Dennis; Meffe, Gary K. (1997). Principles of conservation biology. Sunderland, Mass: Sinauer. ISBN 978-0-87893-521-5. ^ Fedriani JM, García L, Sanchéz M, Calderon J, and C Ramo. 2017. Long-term impact of protected colonial birds on a jeopardized cork oak population: conservation bias leads to restoration failure. Journal of Applied Ecology 54: 450-458. ^ WWF (2016). Living Planet Report 2016. Risk and resilience in a new era (PDF). Gland, Switzerland: WWF International. p. 39. ISBN 978-2-940529-40-7. ^ a b Wake, D. B.; Vredenburg, V. T. (2008). "Are we in the midst of the sixth mass extinction? A view from the world of amphibians". Proceedings of the National Academy of Sciences. 105 (Suppl 1): 11466–73. Bibcode:2008PNAS..10511466W. doi:10.1073/pnas.0801921105. PMC 2556420. PMID 18695221. ^ May, Robert Lewis; Lawton, John (1995). Extinction rates. Oxford [Oxfordshire]: Oxford University Press. ISBN 978-0-19-854829-4. ^ a b Dell'Amore, Christine (30 May 2014). "Species Extinction Happening 1,000 Times Faster Because of Humans?". National Geographic. National Geographic. Retrieved 11 October 2016. ^ Avise, J. C.; Hubbell, S. P.; Ayala, F. J. (2008). "In the light of evolution II: Biodiversity and extinction". Proceedings of the National Academy of Sciences. 105 Suppl 1: 11453–7. Bibcode:2008PNAS..10511453A. doi:10.1073/pnas.0802504105. PMC 2556414. PMID 18695213. ^ Bentley, Molly (January 2, 2009). "Diamond clues to beasts' demise". BBC News. ^ Kennett, D. J.; Kennett, J. P.; West, A.; Mercer, C.; Hee, S. S. Q.; Bement, L.; Bunch, T. E.; Sellers, M.; Wolbach, W. S. (2009). "Nanodiamonds in the Younger Dryas Boundary Sediment Layer". Science. 323 (5910): 94. Bibcode:2009Sci...323...94K. doi:10.1126/science.1162819. PMID 19119227. ^ "An Analysis of Amphibians on the 2008 IUCN Red List. Summary of Key Findings". Global Amphibian Assessment. IUCN. Archived from the original on 2009-07-06. ^ a b McCallum, Malcolm L. (2007). "Amphibian Decline or Extinction? Current Declines Dwarf Background Extinction Rate". Journal of Herpetology. 41 (3): 483–91. doi:10.1670/0022-1511(2007)41[483:ADOECD]2.0.CO;2. JSTOR 4498614. ^ a b Vince, Gaia. "A looming mass extinction caused by humans". www.bbc.com. BBC. Retrieved 11 October 2016. ^ Tate, Karl. "The New Dying: How Human-Caused Extinction Affects the Planet (Infographic)". Live Science. Live Science. Retrieved 11 October 2016. ^ Worrall, Simon (20 August 2016). "How the Current Mass Extinction of Animals Threatens Humans". National Geographic. National Geographic. Retrieved 11 October 2016. ^ a b Australian State of the Environment Committee. (2001). Australia state of the environment 2001: independent report to the Commonwealth Minister for the Environment and Heritage (PDF). Collingwood, VIC, Australia: CSIRO Publishing. ISBN 978-0-643-06745-5. ^ Carpenter, K. E.; Abrar, M.; Aeby, G.; Aronson, R. B.; Banks, S.; Bruckner, A.; Chiriboga, A.; Cortes, J.; Delbeek, J. C.; DeVantier, L.; Edgar, G. J.; Edwards, A. J.; Fenner, D.; Guzman, H. M.; Hoeksema, B. W.; Hodgson, G.; Johan, O.; Licuanan, W. Y.; Livingstone, S. R.; Lovell, E. R.; Moore, J. A.; Obura, D. O.; Ochavillo, D.; Polidoro, B. A.; Precht, W. F.; Quibilan, M. C.; Reboton, C.; Richards, Z. T.; Rogers, A. D.; Sanciangco, J.; Sheppard, A.; Sheppard, C.; Smith, J.; Stuart, S.; Turak, E.; Veron, J. E. N.; Wallace, C.; Weil, E.; Wood, E. (2008). "One-Third of Reef-Building Corals Face Elevated Extinction Risk from Climate Change and Local Impacts". Science. 321 (5888): 560–3. Bibcode:2008Sci...321..560C. doi:10.1126/science.1159196. PMID 18653892. ^ a b "Orphans of Rio" (PDF). fungal-conservation.org. Retrieved 2011-07-09. ^ Thomas, JA; Telfer, MG; Roy, DB; Preston, CD; Greenwood, JJ; Asher, J; Fox, R; Clarke, RT; Lawton, JH (2004). "Comparative Losses of British Butterflies, Birds, and Plants and the Global Extinction Crisis". Science. 303 (5665): 1879–81. Bibcode:2004Sci...303.1879T. doi:10.1126/science.1095046. PMID 15031508. ^ Dunn, Robert R. (2005). "Modern Insect Extinctions, the Neglected Majority". Conservation Biology. 19 (4): 1030–6. doi:10.1111/j.1523-1739.2005.00078.x. ^ Wilson, Edward O. (1987). "The Little Things That Run the world (The Importance and Conservation of Invertebrates)". Conservation Biology. 1 (4): 344–6. doi:10.1111/j.1523-1739.1987.tb00055.x. JSTOR 2386020. ^ Samways, Michael J. (1993). "Insects in biodiversity conservation: some perspectives and directives". Biodiversity and Conservation. 2 (3): 258–82. doi:10.1007/BF00056672. ^ Society, National Geographic. "Honeybee." National Geographic. National Geographic, n.d. Web. 11 Oct. 2016. ^ Holden, C. (2006). "Ecology: Report Warns of Looming Pollination Crisis in North America". Science. 314 (5798): 397. doi:10.1126/science.314.5798.397. PMID 17053115. ^ Stokstad, E. (2007). "Entomology: The Case of the Empty Hives". Science. 316 (5827): 970–2. doi:10.1126/science.316.5827.970. PMID 17510336. ^ "British Columbia's Mountain Pine Beetle Action Plan 2006-2011" (PDF). www.gov.bc.ca/pinebeetle. Archived from the original (PDF) on 2013-04-19. ^ "Mountain Pine Beetle in B.C." (PDF). gov.bc.ca. ^ a b c d "Threats to Biodiversity | GEOG 030: Geographic Perspectives on Sustainability and Human-Environment Systems, 2011". www.e-education.psu.edu. Retrieved 2016-10-07. ^ Freckleton, Rob; Sodhi, Navjot S.; Bickford, David; Diesmos, Arvin C.; Lee, Tien Ming; Koh, Lian Pin; Brook, Barry W.; Sekercioglu, Cagan H.; Bradshaw, Corey J. A. (2008). "Measuring the Meltdown: Drivers of Global Amphibian Extinction and Decline". PLoS ONE. 3 (2): e1636. Bibcode:2008PLoSO...3.1636S. doi:10.1371/journal.pone.0001636. PMC 2238793. PMID 18286193. ^ Longcore, Travis; Rich, Catherine (2004). "Ecological light pollution". Frontiers in Ecology and the Environment. 2 (4): 191–8. doi:10.1890/1540-9295(2004)002[0191:ELP]2.0.CO;2. JSTOR 3868314. ^ "Asia's biodiversity vanishing into the marketplace" (Press release). Wildlife Conservation Society. February 9, 2004. Retrieved October 13, 2016. ^ "Greatest threat to Asia's wildlife is hunting, scientists say" (Press release). Wildlife Conservation Society. April 9, 2002. Retrieved October 13, 2016. ^ Hance, Jeremy (January 19, 2009). "Wildlife trade creating 'empty forest syndrome' across the globe". Mongabay. ^ Rodrigues, Ana S. L.; Andelman, Sandy J.; Bakarr, Mohamed I.; Boitani, Luigi; Brooks, Thomas M.; Cowling, Richard M.; Fishpool, Lincoln D. C.; da Fonseca, Gustavo A. B.; Gaston, Kevin J.; Hoffmann, Michael; Long, Janice S.; Marquet, Pablo A.; Pilgrim, John D.; Pressey, Robert L.; Schipper, Jan; Sechrest, Wes; Stuart, Simon N.; Underhill, Les G.; Waller, Robert W.; Watts, Matthew E. J.; Yan, Xie (2004). "Effectiveness of the global protected area network in representing species diversity". Nature. 428 (6983): 640–3. Bibcode:2004Natur.428..640R. doi:10.1038/nature02422. PMID 15071592. ^ Wilcove, David S; Wikelski, Martin (2008). "Going, Going, Gone: Is Animal Migration Disappearing". PLoS Biology. 6 (7): e188. doi:10.1371/journal.pbio.0060188. PMC 2486312. PMID 18666834. ^ Becker, C. G.; Fonseca, C. R.; Haddad, C. F. B.; Batista, R. F.; Prado, P. I. (2007). "Habitat Split and the Global Decline of Amphibians". Science. 318 (5857): 1775–7. Bibcode:2007Sci...318.1775B. doi:10.1126/science.1149374. PMID 18079402. ^ Schmidt, Gerald (2005). "Ecology & Anthropology: A Field Without Future?". Ecological and Environmental Anthropology. 1 (1): 13–5. OCLC 729066337. ^ McMenamin, S. K.; Hadly, E. A.; Wright, C. K. (2008). "Climatic change and wetland desiccation cause amphibian decline in Yellowstone National Park". Proceedings of the National Academy of Sciences. 105 (44): 16988–93. Bibcode:2008PNAS..10516988M. doi:10.1073/pnas.0809090105. PMC 2579365. PMID 18955700. ^ Wyman, Richard L. (1991). Global climate change and life on earth. New York: Routledge, Chapman and Hall. ISBN 978-0-412-02821-2. ^ a b Thomas, Chris D.; Cameron, Alison; Green, Rhys E.; Bakkenes, Michel; Beaumont, Linda J.; Collingham, Yvonne C.; Erasmus, Barend F. N.; de Siqueira, Marinez Ferreira; Grainger, Alan; Hannah, Lee; Hughes, Lesley; Huntley, Brian; van Jaarsveld, Albert S.; Midgley, Guy F.; Miles, Lera; Ortega-Huerta, Miguel A.; Townsend Peterson, A.; Phillips, Oliver L.; Williams, Stephen E. (2004). "Extinction risk from climate change". Nature. 427 (6970): 145–8. Bibcode:2004Natur.427..145T. doi:10.1038/nature02121. PMID 14712274. Lay summary – National Geographic News (July 12, 2004). Bowen, Brian W. (1999). "Preserving genes, species, or ecosystems? Healing the fractured foundations of conservation policy". Molecular Ecology. 8 (s1): S5–S10. doi:10.1046/j.1365-294X.1999.00798.x. Brooks T. M.; Mittermeier R. A.; Gerlach J.; Hoffmann M.; Lamoreux J. F.; Mittermeier C. G.; Pilgrim J. D.; Rodrigues A. S. L. (2006). "Global Biodiversity Conservation Priorities". Science. 313 (5783): 58–61. Bibcode:2006Sci...313...58B. doi:10.1126/science.1127609. PMID 16825561. Kareiva P.; Marvier M. (2003). "Conserving Biodiversity Coldspots" (PDF). American Scientist. 91 (4): 344–351. doi:10.1511/2003.4.344. Archived from the original (PDF) on September 6, 2006. McCallum M. L. (2008). "Amphibian Decline or Extinction? Current Declines Dwarf Background Extinction Rate" (PDF). Journal of Herpetology. 41 (3): 483–491. doi:10.1670/0022-1511(2007)41[483:ADOECD]2.0.CO;2. Archived from the original (PDF) on 2008-12-17. Myers, Norman; Mittermeier, Russell A.; Mittermeier, Cristina G.; da Fonseca, Gustavo A. B.; Kent, Jennifer (2000). "Biodiversity hotspots for conservation priorities". Nature. 403 (6772): 853–8. Bibcode:2000Natur.403..853M. doi:10.1038/35002501. PMID 10706275. Mccallum, Malcolm L.; Bury, Gwendolyn W. (2013). "Google search patterns suggest declining interest in the environment". Biodiversity and Conservation. 22 (6–7): 1355–67. doi:10.1007/s10531-013-0476-6. Wake, D. B.; Vredenburg, V. T. (2008). "Are we in the midst of the sixth mass extinction? A view from the world of amphibians". Proceedings of the National Academy of Sciences. 105 (Suppl 1): 11466–73. Bibcode:2008PNAS..10511466W. doi:10.1073/pnas.0801921105. PMC 2556420. PMID 18695221. Groom, Martha J.; Meffe, Gary K.; Carroll, C. Ronald. (2006). Principles of Conservation Biology. Sunderland, Mass: Sinauer Associates. ISBN 978-0-87893-597-0. Primack, Richard B. (2004). A primer of Conservation Biology. Sunderland, Mass: Sinauer Associates. ISBN 978-0-87893-728-8. Primack, Richard B. (2006). Essentials of Conservation Biology. Sunderland, Mass: Sinauer Associates. ISBN 978-0-87893-720-2. Wilcox, Bruce A.; Soulé, Michael E.; Soulé, Michael E. (1980). Conservation Biology: an evolutionary-ecological perspective. Sunderland, Mass: Sinauer Associates. ISBN 978-0-87893-800-1. Kleiman, Devra G.; Thompson, Katerina V.; Baer, Charlotte Kirk (2010). Wild Mammals in Captivity. Chicago, Illinois: University of Chicago Press. ISBN 978-0-226-44009-5. Scheldeman, X.; van Zonneveld, M. (2010). Training Manual on Spatial Analysis of Plant Diversity and Distribution. Bioversity International. Archived from the original on 2011-09-27. Sodhi, Navjot S.; Ehrlich, Paul R. (2010). Conservation biology for all. Oxford University Press. A free textbook for download. Sutherland, W.; et al. (2015). What Works in Conservation. Open Book Publishers. A free textbook for download. Christy, Bryan (2008). The Lizard King: The true crimes and passions of the world's greatest reptile smugglers. New York: Twelve. ISBN 978-0-446-58095-3. Nijhuis, Michelle (July 23, 2012). "Conservationists use triage to determine which species to save and not: Like battlefield medics, conservationists are being forced to explicitly apply triage to determine which creatures to save and which to let go". scientificamerican.com. Scientific American. Retrieved 2017-05-07. White, James Emery; Kapoor-Vijay, Promila (1992). Conservation biology: a training manual for biological diversity and genetic resources. London: Commonwealth Science Council, Commonwealth Secretariat. ISBN 978-0-85092-392-6. Sarkar, Sahotra. "Conservation Biology". In Zalta, Edward N. Stanford Encyclopedia of Philosophy.